Continuation from the previous post Thirukoshtiyur. North facing Ganesha granting wealth @Pillayarpatti. Whenever we do anything we start with the invocation of Lord Ganesha and get his blessings. He is the remover off all the obstacles. 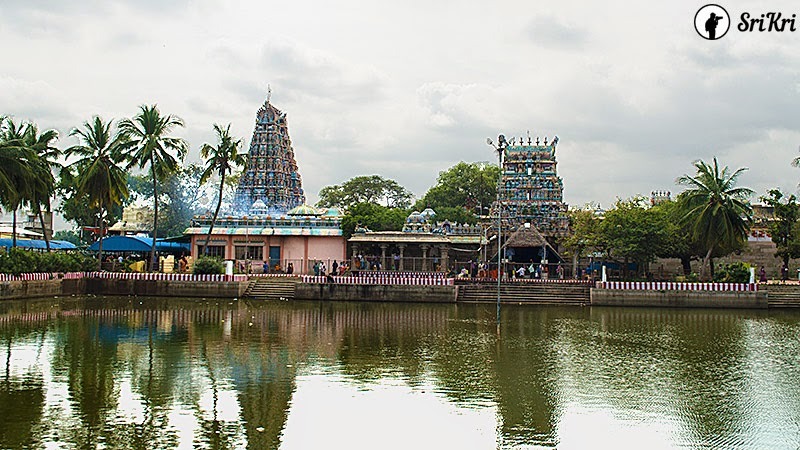 Around 70 km from Madurai lies a temple dedicated to Lord Ganesha. The gigantic Ganesha in Silver Kavacham (shield) with a sparkling thiruneeru (scared ash on the forehead) is glittering in light from the surrounding oil lamps. He is called Karpaga Vinayakar here. Why the name Karpaga? Like Kalpavrusha trees, he too grants wealth to all his devotees. Kalpavrusha is a divine tree which grants whatever the person desire. Here Ganesha is with two hands while in many other places he appears with 4 hands or more. Ganesha is facing North here. It is the direction of Lord Kubera (God of Wealth) and he grants wealth to his devotees. He is also a Valampuri Vinayaka (his trunks is curled towards the right). When you visit this place, please find time to visit the nearby temple at Kundrakudi where his brother Karthikeya is gracing.